One of the important factors in Africa’s failure to launch is its debt crisis. Todd Moss writes that sub-Saharan Africa’s debt went from $22 billion in 1970; grew through the 1980s; peaked at $190 billion in 1995 before dropping to $170 billion in 2003. To put this in perspective, the debt as a percentage of Gross National Income went from 13% in 1970 to 100% in 1995 and declined to 70% in 2003[i]. Servicing the debt has had huge implications for the development of the continent. Funds that could have went towards development had to service the increasing debt and eventually countries could not keep up. The question is how did the debt crisis start? What caused it? How is being tackled currently and do we have it under control? Given the unequal trade terms that Africa was in, when countries gained independence they tried to diversify their economies; build industries to replace imports, build infrastructure and train and up-skill the population. 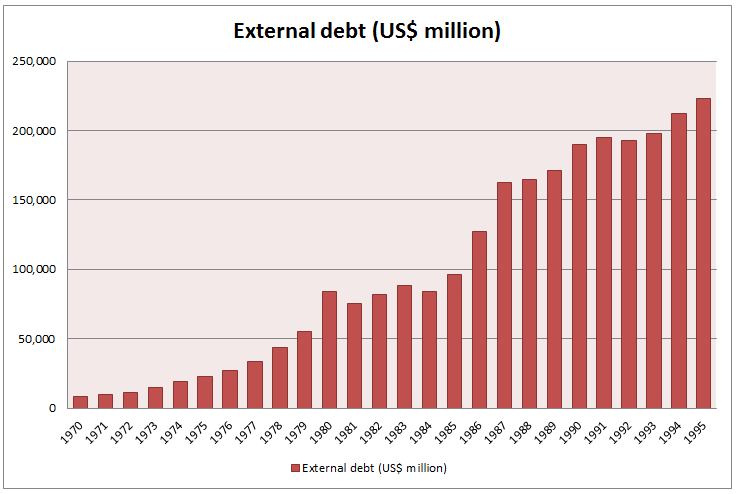 So to do this Africa borrowed and thought that the income from export of commodities would pay the debt. However three things occurred that prevented this. Zambia’s decline illustrates this narrative. The first 8 years of post-colonial Zambia saw growth rates averaging 2.4% per annum. Copper accounted for 97% of Zambia’s export income and 58% government revenue. From the 70’s copper prices fell and oil prices rose and worsened Zambia’s terms of trade. Being a monocrop economy with no diversity, declining commodity prices hit them hard. Their debt eventually reached US$6.3billion which is more than double its annual GDP. In 1996 the Heavily Indebted Poor Countries (HIPC) initiative was set-up to kick-start debt relief and eventually in 2005 Multilateral Debt Relief Initiative (MDRI) was also set-up and 35 countries were relieved of US$100 billion. However this debt relief came at the cost of Africa’s sovereignty. There were certain conditions that a country must meet regarding their public policy, it must be formulated in line with IMF and World Bank supported programmes, which have a resemblance to structural adjustment programs. Currently Africa’s debt levels are the lowest it has been in decades, however due to access to private loans and being able to issue sovereign bonds on markets the debt is mounting. And the question remains whether the fundamental economic problem for Africa, namely a narrow manufacturing base, is being tackled. 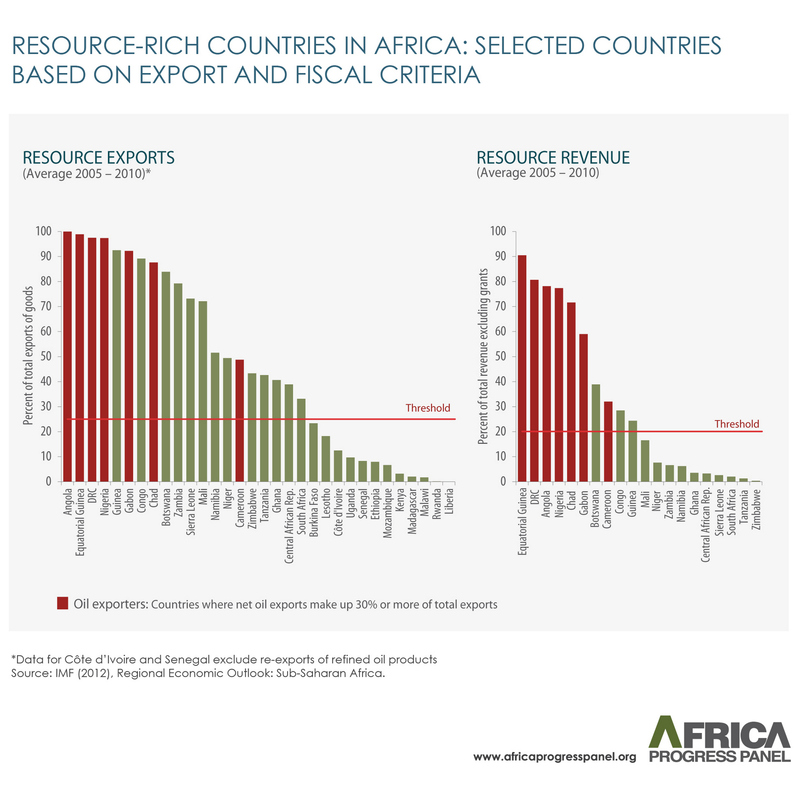 The graph above illustrates how Africa’s exports are still dominated by resources and not manufacturing and capital goods such as the west and asian countires. Sustainable growth, poverty reduction, job creation and a favourable balance of payments can only be achieved through industrialization and diversification of the economy, expanding Africa’s narrow manufacturing base. [i] Moss, T. 2006 Briefing: The G’s Multilateral debt Relief Initiative and Poverty reduction in sub-Saharan Africa.